Welcome to the Annunciation Greek Orthodox Church in Rochester, New York. For over 90 years, the Annunciation Greek Orthodox Church has been a prominent establishment of Orthodoxy in the city of Rochester, New York. The Clergy and the Parish Council are very pleased to welcome you into our spiritual community. 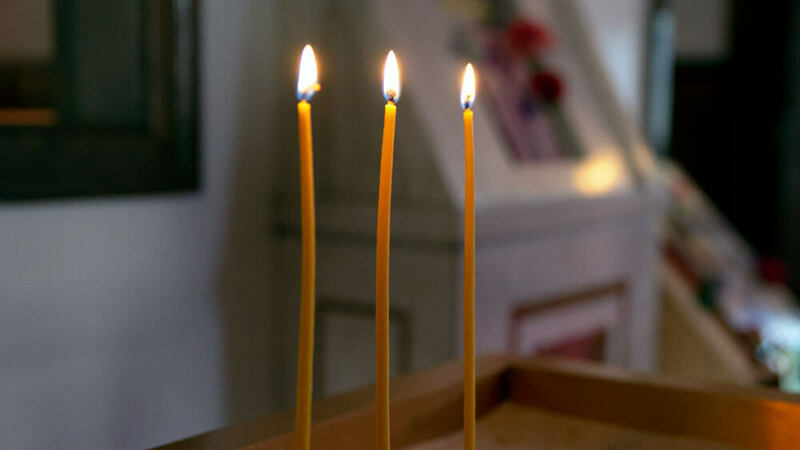 We encourage all to become practicing Orthodox Christian Stewards of our church. Orthodox Christian Stewardship is a way of life, which acknowledges accountability, reverence and responsibility before God. Becoming a Steward begins when we believe in God, to whom we give our love, loyalty, and trust and act on those beliefs. As Stewards, we affirm that every aspect of our lives comes as a gift from Him. Stewardship calls on the faithful to cheerfully offer back to God a portion of the gifts with which they have been blessed. If the Church is indeed the “Ship of Faith,” then each must grab an oar and pull, not just a select few. After all, is this not what Christ asks of us in Luke 6:38—“Give, and it will be given to you’—and is this not how we must respond? Each year the Steward is expected to carefully review his or her personal circumstances and make a commitment of time, talent, and treasure to support our Parish and her Ministries. The Annunciation Greek Orthodox Church encourages new members to consider stewardship in becoming members of our church, but also has a traditional dues structure for young adults, individuals and families. Annunciation's ministries are directly funded by our Stewardship program. A Worship Ministry that nurtures the faithful through regular participation in the sacred services and holy mysteries of the Orthodox Church as expressed through the rich liturgical and hymnological inheritance known as Byzantine music, rendered in both Greek and English. A Teaching Ministry that strives to educate and inspire the faithful through the Sacred Scriptures and Holy Tradition of the Church, with great emphasis on catechetical and Greek language education, for children and adults of all ages. A Youth Ministry that develops and nurtures our children to follow in the footsteps of Christ by learning the foundations of our faith and to live their lives in integrity, kindness and love. A Philanthropic Outreach Ministry, under the leadership of a vibrant Ladies Philoptochos Society, that fulfills the command of our Lord Jesus Christ to reach out to the sick and poor, and to serve the least fortunate of our brethren. A Social and Cultural Ministry that provides a variety of opportunities for all members of the community to volunteer and to share in activities with one another through appropriate cultural, social, and educational events that reflect the life, faith, and cultural heritage of the Church. A Stewardship Ministry that engenders the faithful dedication of time, talent, and treasure of parishioners in support of the ministries of the Church to the glory of God. With open hearts and open arms we welcome you and invite your participation in the spiritual and social life of Annunciation Greek Orthodox Church by becoming a Steward. Join our community and help support the critical programs and ministries that the Annunciation fosters. Should you have questions or wish to discuss membership further, please do not hesitate to contact us.